Presentations given at a roundtable discussion on 4 June 2009, organized by the Committee for National Defence Studies (CEDN) on ‘Strategic thinking in France’. 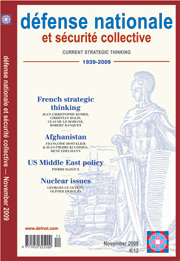 The occasion was the 70th anniversary of the journal Défense nationale et sécurité collective. 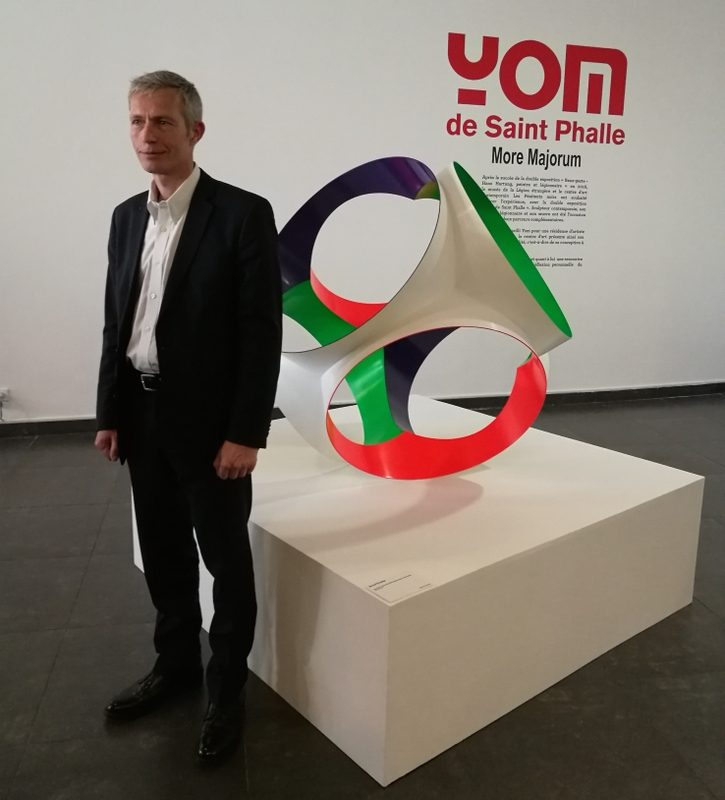 Rekindling strategic thinking in France is a ‘reiterative’ business, but unfortunately rarely recurrent: in other words, each time one starts again at the beginning, rather than building on what existed immediately before. 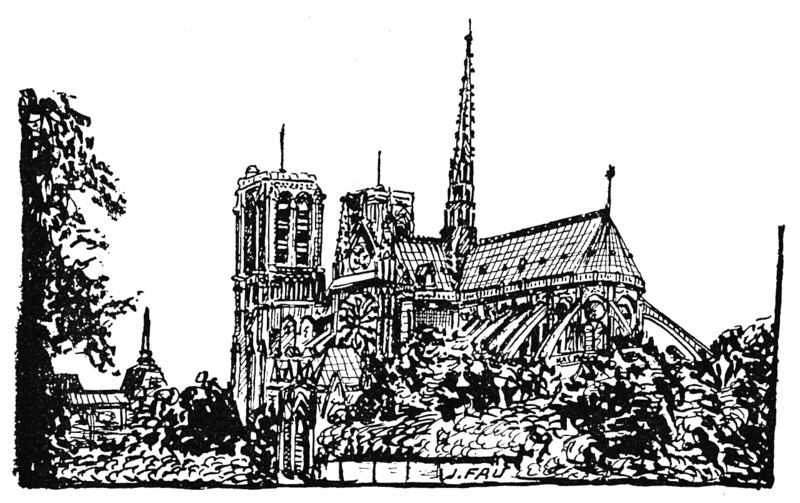 Robert Ranquet here offers a few thoughts on this theme, inspired by the article on the same subject by General Vincent Desportes, published in our December 2008 issue, and identifies several questions specific to the uniquely French approach in this field. It was predicted that 2009 would be a tough year for Afghanistan, and we have heard such media and official rhetoric before. What makes this year stand out is the number of significant events taking place, such as the presidential elections, the arrival of 21,000 American soldiers for deployment in the south and east of the country, and developments in Pakistan. Since 2008 a sense of urgency has taken hold in the media about the future of the military campaign in Afghanistan, and on the spot many conflicting statements are made. Despite the increased military commitment and the intensification of operations, instability and insecurity remain high. The war on drugs is the only raison d’être for NATO’s intervention in Afghanistan: after all, Afghan heroin is ravaging Europe as much as America. And yet that war is the only one not being fought. So why this indulgence? How can the European Union organize a determined fight everywhere against this worldwide scourge? Western armies have adapted to the way of the world. Many tasks, ranging from supply to fire support, have been contracted out. Over and above the secondary effect of ‘classical’ mercenarism, vide Bob De-nard, this is little more than a return to the past. Now that the problem of identifying what should or should not be the prerogative of the State has been addressed, it has become essential to set up a strict regulatory arrangement governing private military companies (PMCs). It is now ten years since NATO concluded Operation Allied Force against the Federal Yugoslav Republic of Slobodan Milosevic. After 78 days of bombing, the latter decided to accept the demands of the international community (as expressed by the UN and NATO) regarding Kosovo. What traces are left today of this unprecedented operation? With their methodology and their destructive effects, comparable to those of acts of war, the new forms of terrorism are often categorised as asymmetric threats, as they tend to catch unawares peacetime security systems, usually not designed to counter activity on such a scale, as also military defence systems, whose use is constrained by the peacetime legal framework. 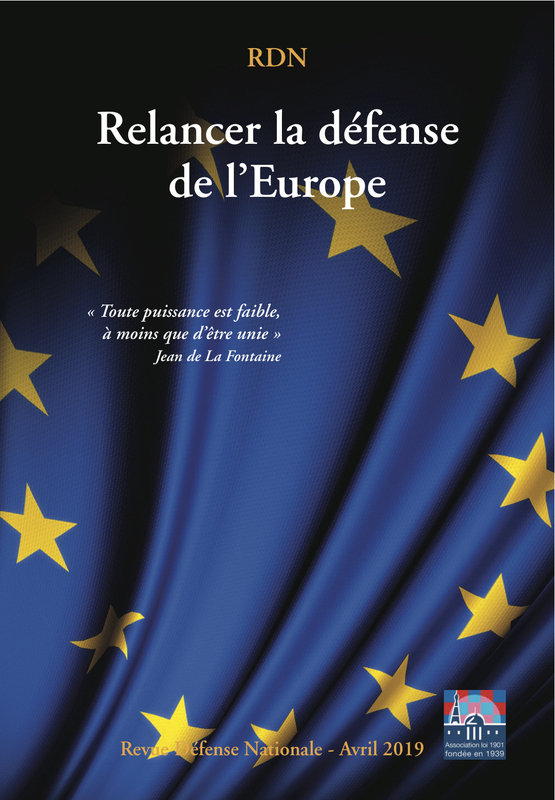 France’s White Paper on defence and national security takes these new forms of threat into account, and sets out recom­mendations to limit their effects, if they cannot be prevented entirely. Amongst the potential targets that can be categorised as ‘high value’ are those installations, such as military nuclear deterrent systems, that present major environmental risk in the event of so-called ‘disproportionate aggression’. If we are not on guard, the new asymmetric threats can circumvent these systems, for the most part designed to meet threats of a military nature. France’s pioneering role in the fight against piracy off the Horn of Africa and the French military presence in the United Arab Emirates, inaugurated by President Sarkozy on 26 May 2009, are two illustrations of how France is taking on its full responsibilities in this strategically important region. 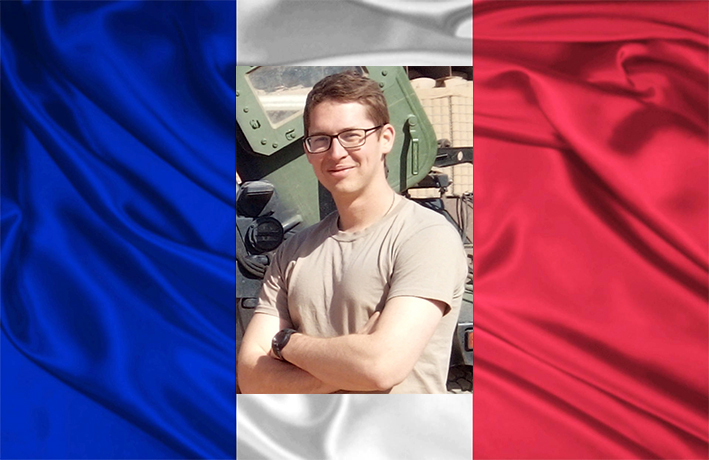 They demonstrate strong political will supported by a permanent posture of pre-positioned armed forces, which mean France can prepare and react. In the context of his responsibilities as operational controller of this new structure, the French maritime commander of the region, ALINDIEN, was charged by the Chief of Defence Staff (CEMA) with overseeing the organization of a symposium on maritime security that was held in Abu Dhabi on 25/26 May 2009 in the presence of the two Heads of State. In 1995 all countries, with the exception of India, Israel and Pakistan, signed the Nuclear Non-Proliferation Treaty (NPT); some because it was in their interest and others under pressure from the superpowers. Since the mid-1970s, a further problem has been how to make the signatories put the treaty into practice. A not insignificant number of breaches were noted in the 1980s and 1990s, but until recently the United States and the former Soviet Union were able to crack down on them and prevent the non-compliant countries from achieving their aims. More recently, the crises in North Korea and Iran seem to show that the great powers no longer have the means to impose their policies on others, or to get a majority of countries on their side. Meanwhile, the UN is at a standstill on the issue. Nuclear deterrence, though much changed, is as relevant today as ever. If its material and manner of application have evolved, its usefulness has not and it is, in a word, just as necessary today as it ever has been—perhaps more so—and will remain so for the foreseeable future. Nevertheless, the question of employment of nuclear weapons needs to be thoroughly reviewed, with emphasis on the characteristics that future nuclear weapons should have and the doctrine for their use. The balance to be struck between nuclear deterrence and deployment of conventional forces on one hand, and missile defence on the other, is also discussed, as is deterrence in a broader sense—how it might operate in a variety of circumstances, given the absence of structures comparable to those of the Cold War era, and how to formalise the conditions. After 231 years of a chaotic marriage—which the French persist in believing is founded on love whereas it was always based only on reason—France and the United States continue to proclaim their divergent values, which some call a convergence of interests. Issues concerning the Middle East and terrorism, wrongly used as a justification for the Afghan conflict, once again highlight this gap. The way in which they address these questions reflects their different and incompatible views of the world and history. A reflection prompted by Mustapha Benchenane’s article ‘Islam and “Islamism”—a study’, which appeared in Défense nationale et sécurité collective, February 2009. A comparative reading of Clausewitz and David Galula, as proposed by US General David Petraeus, enables us to understand what the second owes to the first, but also the degree to which the latter innovates. It allows us to grasp the singularity of counter-insurgency warfare. According to Galula, it is characterized by the control of violence and a rejection of escalation. Its centre of gravity is not the adversary’s army but the population, which must be conquered. Finally, such a comparison confirms the ascendancy of the political over the military and rejects the idea of autonomy in military matters.